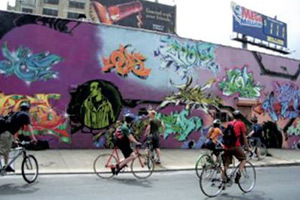 Check out this great article about Time's Up's graffiti ride in Swiss magazine Watson.ch! Read all about it here. 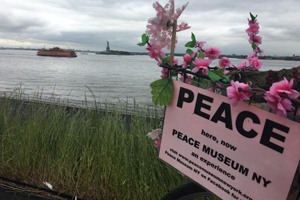 Meet @ 11:45 AM at the Whitehall Staten Island Ferry Terminal in Manhattan to board the 12 Noon Ferry to Staten Island. Meet in the bicycle boarding area on the first level under the escalator. The ferry is free. 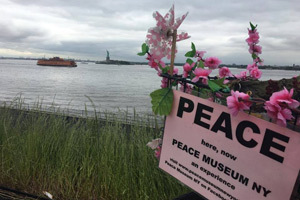 (If you live on Staten Island you can meet at 12:30 PM at the St. George Ferry Terminal, right by the guard gate leaving the bicycle exit). Visit glamorous and notorious Lower Manhattan's most famous spots in history, infamy, and unparalleled opulence. Includes the shocking Wall Street bombing, the world's biggest gold cache, and arguable the most important place in USA history. . . and much, much, much more. 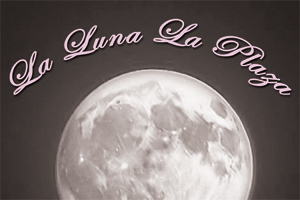 Celebrate the light of the full moon in La Plaza. Pause and be guided into unconscious bliss under the healing light of the moon with a meditation led by Laura Ball. Our gallery is on the streets, and we want to share it, pointing out famous and hidden spots throughout the city. 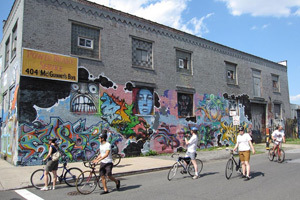 We'll be covering the Williamsburg and Bushwick neighborhoods of Brooklyn. 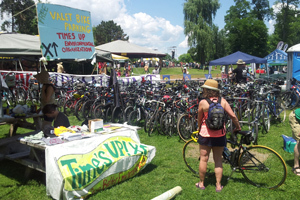 The Clearwater Festival is back on again this year and Time's Up will be there doing valet bike parking right at the front entrance. 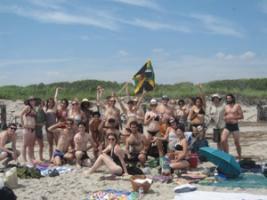 The Clearwater Great Husdon River Revival, a musical and environmental festival will take place June 17th and 18th at Croton Point Park. You can check out more about it here, and you can read more about Time's Up's valet bike parking here. Time's Up! 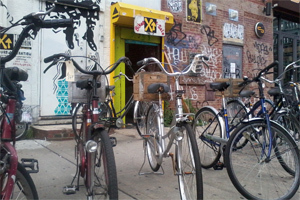 bicycle co-op is now offering inexpensive bicycles from its 'recycle a bike' program, starting at $100 to $185. This is a very practical, Dutch style non-gender-specific recycled bicycle, tuned up & ready to ride. 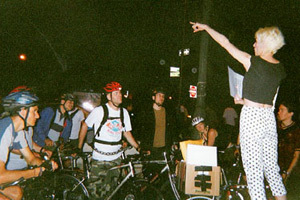 Each bike includes front and rear fenders, brakes, chain guard, and a kick stand. Excellent for riding in the rain and versatile for many different clothing options. The kind of bike that will last forever.